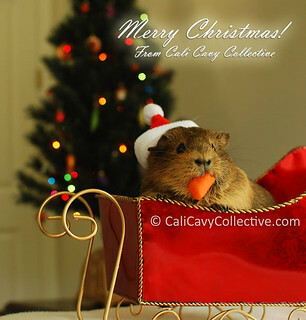 Cali Cavy Collective: a blog about all things guinea pig: Merry Pigmas! Wishing everyone a very happy holiday season filled with food, laughter and carrots. Happy Pigmas, ladies and human slaves!